The coffee machine awarded for its "outstanding design"
Faema E71E, developed in collaboration with Italdesign’s Industrial Design Division, is among the winners of the Red Dot Awards 2019, one of the world’s largest design competitions. 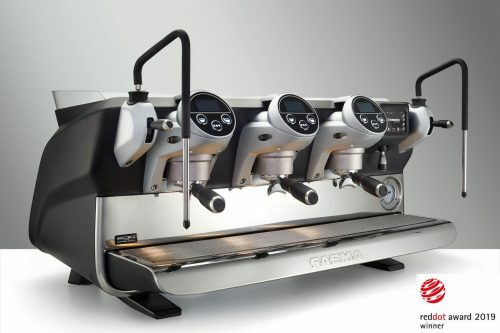 The international jury has awarded the innovative espresso coffee machine produced by the historic brand of Gruppo Cimbali’ for its “outstanding design” within the category “Product Design”. Getting its inspiration from the automotive world, Faema E71E perfectly embodies Faema’s stylistic language and Italdesign’s design philosophy combining ergonomics, functionality and technology. Intuitive and user-friendly, Faema E71E offers the highest setting customization and accessories choice. It also simplifies and exalt a barista experience and skills, for a perfect coffee extraction able to enhance the organolectic profile of every single coffee blend and origin. 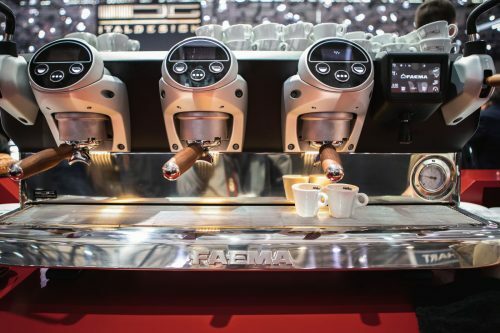 The new independent groups are Faema E71E’s deep core, the combining point where a barista’s creativity meets the mechanics of a machine that allows an ideal coffee extraction management, from the temperature to the infusion time of every coffee blend. “We are very happy about this award – Nicola Guelfo, Head of Industrial Design at Italdesign, said – it’s the culmination of a collaboration with Faema dating back to the early 90s with the E91 project, and it’s a confirmation of the international appreciation of design and industry Made in Italy”. Faema E71E will be displayed at the Italdesign showroom in in Tortona 31/Opificio during the Milano Design Week in a special edition, namely painted the same color of Italdesign DaVinci, the concept design that was world premiered at the Geneva International Motor Show in March and that will be presented alongside.